Last year Tracey Flaherty, senior vice president of retirement strategies at Natixis Global Asset Management, was conducting yearly research on participation in retirement plans when a statistic caught her attention. Her research showed that one in four Americans—and one in three millennials—were not contributing to their company-sponsored retirement fund. The reason? They were using that money to pay down their student loans instead. “That was one wake-up call,” Flaherty says. “We as a company believe strongly in starting to save for retirement early. If you don’t save in your twenties through forties, you’ll never catch up.” Natixis was determined, Flaherty says, to find a way to defray the cost of its employees’ debt burden. In December the company introduced a program in which it pays $5,000 toward employees’ student loans once they work at the company for five years. They can receive an additional $1,000 annually for up to five years. According to a survey last year by the Society for Human Resource Management, only 3% of employers helped workers with their student loans, but that figure could be growing as more and more companies introduce the benefit. In September, PwC (No. 53 on this year’s 100 Best Companies to Work For list) announced that it will begin contributing $1,200 a year to its associates’ student loans. The benefit was implemented on a platform developed by Gradifi, a Boston startup launched by entrepreneur Tim DeMello. PwC was the first client Gradifi publicly announced, and DeMello says he has another 100 signed up. In December the software company Kronos said it would start paying $500 a year toward employees’ student loans. It has partnered with Student Loan Genius, which advises borrowers on repayment plans and helps workers automatically contribute via the company’s payroll system. The Austin-based company says it has about 50 clients—90% of which have signed on in the past 12 months. DeMello says loan payment is catching on because companies see it as an innovative way to help solve the nation’s $1.2 trillion student-loan problem, plus it’s a powerful recruiting and retention tool. When PwC visits college campuses to recruit new hires, the fact that it pays employees’ student loans “is a tremendous differentiator,” he says, in helping attract great millennial talent. But for all the popularity the student-loan benefit is gaining, there’s still a big hurdle keeping it from mass adoption: Employees are taxed on the employer payments as if the money were cash income. That dilutes the impact of the employer contributions, since the money employees spend on those taxes could—in theory—be used to pay down their student loans even further. “It’s a big problem,” says Flaherty of Natixis. That’s why Natixis was so public in announcing its benefit. It hoped other employers would follow suit and help change the law. That could happen if Congress passes the Employer Participation in Student Loan Assistance Act. Rep. Rodney Davis (R-Ill.) introduced the bill in the House in October, and Sen. Mark Warner (D-Va.) introduced its companion in the Senate. The House bill seeks to extend the tax exclusion that currently applies to employer-provided tuition assistance—up to $5,250 per year—to include employer contributions to employees’ student loans. It also provides incentives to employers to subsidize student-loan repayments. 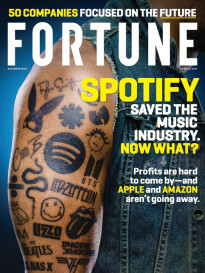 “It’s a win-win all around,” Davis tells Fortune. And it seems as though members of both parties feel that way. The legislation, which is now in committee, has 20 co-sponsors—nine Democrats and 11 Republicans. Davis said the eight four-year colleges and universities in his district motivated him to introduce the measures, as did his daughter, who attends Illinois State University. She’s facing the same questions as so many other college students, Davis says—how much is college going to cost, and how are you going to pay for it? 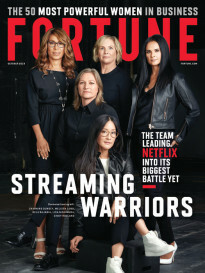 See the full list of Fortune‘s 100 Best Companies to Work For at fortune.com/bestcompanies, where you can also find job searching tips, career advice, and secrets from recruiters.